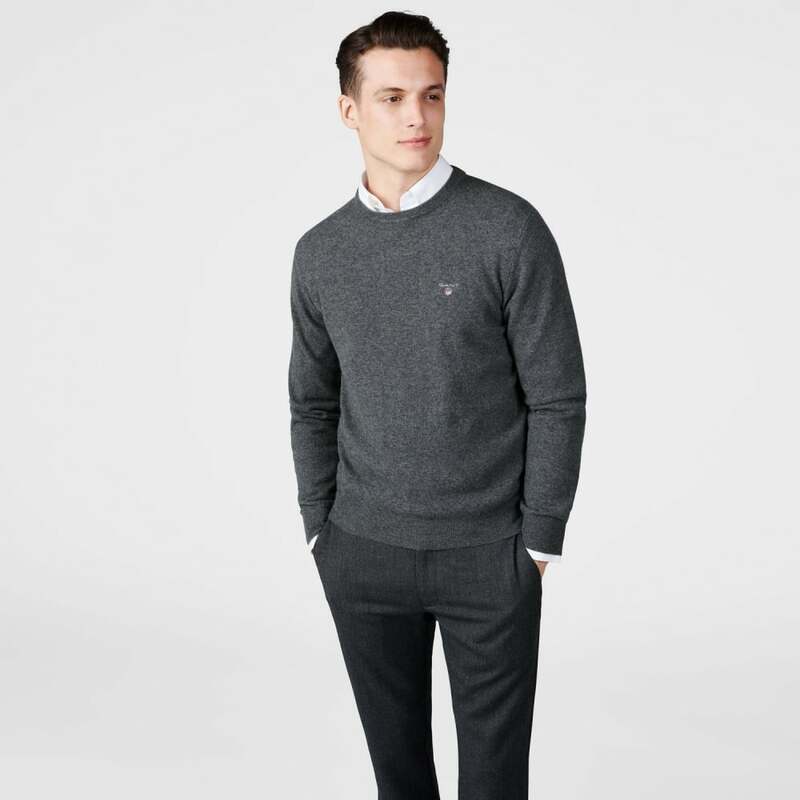 The classic Lambswool Crewneck is crafted from 100% super fine lambswool. The fibres have been treated to ensure a perfect blend of softness and strength, making it a great everyday sweater. It features a crew neck, ribbing on the cuffs and hem, and a classic embroidered GANT shield on the chest. Great worn on its own or over your favourite GANT shirt. Wash with similar colors. Wash inside out. Iron inside out. Iron back into shape. Machine washable in wool program.